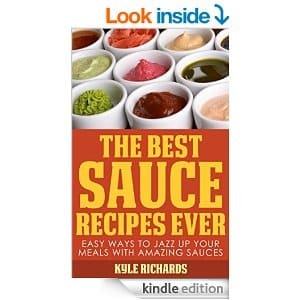 Today, you can download the free Kindle eBook The Best Sauce Recipes Ever for free (duh) on Amazon.com! This book is written by Kyle Richards of the Real Housewives of Orange County fame. It normally retails for $3.99! But, right now, it’s available for free in Amazon’s electronic book selection. Ebook reminder: This book was free at time of posting (October 6th, 2014) You definitely need to check the price before clicking the 1-Click button. You don’t have to own a Kindle device to read this book. You can download a free Kindle reading app to your PC, Mac, phone or tablet. You may also be able to read this book on your browser through the Kindle cloud service.